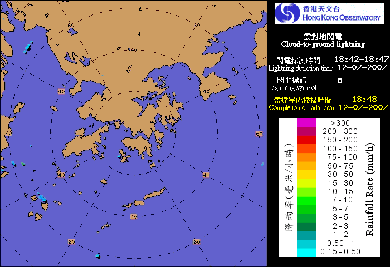 With the exception of HKO imageries, all pictures in this section are real-time images. Click on the thumbnails to view the original size of the satellite images. Click here for images of other areas produced by the US Navy. * FY-2G images are taken by China Meteorological Administration (CMA); Himawari-8 images are taken by Japan Meteorological Agency (JMA) while EOS images are from the National Aeronautics and Space Administration (NASA). 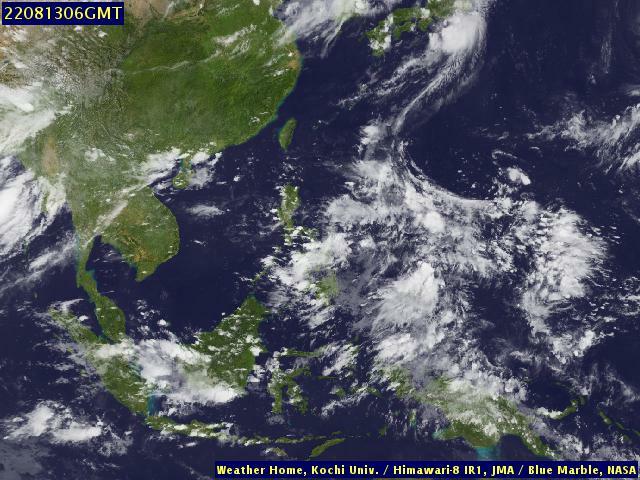 Images are captured by Himawari. 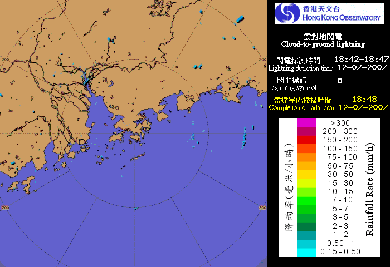 With the exception of HKO imageries, all pictures in this section are real-time images. Click on the thumbnails to view the original size of the radar images.